We welcome bookings for wedding ceremonies that do not include a reception or party afterwards, or where the party will only be a drinks reception. Ceremonies may be held on the ground floor or on the first floor. 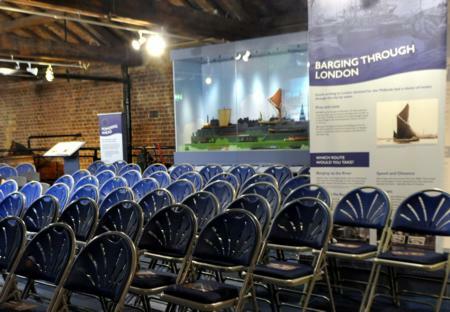 Ceremonies can be held at 1700 or later on any evening of the week, or at any time on Mondays. There are two possibilities. Firstly, you can arrive for the ceremony with or without all the guests by boat. 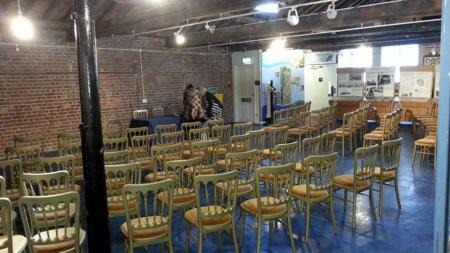 Secondly, you may wish to have a wedding reception on a boat, following a ceremony in the museum. (It is not possible for a legal wedding ceremony to take place on a boat but we're the closest thing!) 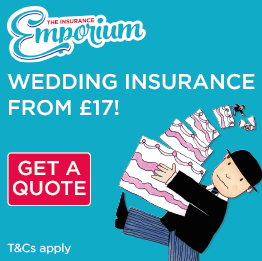 In either case, it will make your wedding day that much more memorable. 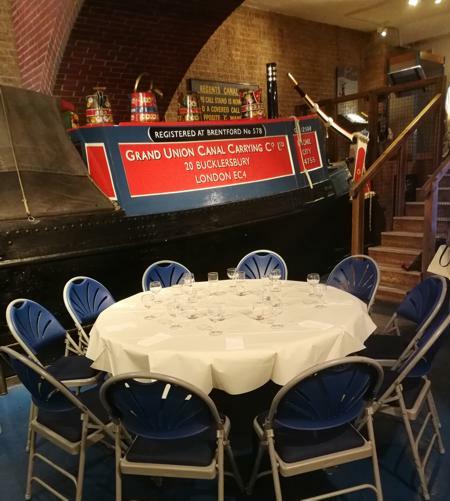 If the ceremony takes place at 1700 or soon after, you can go off and celebrate on board one of the boats that operate on The Regent's Canal. The largest boat takes 98 people standing or about 40 for a seated meal. You won't be able to have a late night or dancing on board. 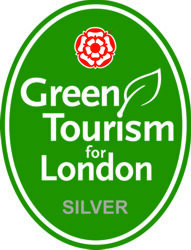 We have been accredited as a green venue by the Green Tourism for London scheme, a part of the national Green Tourism Business Scheme. We will make sure that as much of the waste from your reception as possible is recycled. Please discuss with us ways in which we can make your wedding as eco-friendly as possible. For your wedding car and guests' transport we suggest Green Tomato Cars, London's green private hire company. We charge a fixed price for venue hire and our rates are very reasonable compared to other high-quality venues of similar size and standard. We don't publish a price list for ceremony-only weddings because they vary in size and complexity. 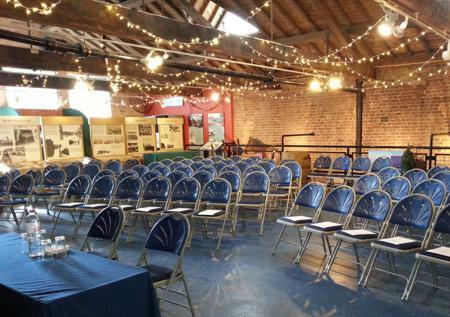 Prices for the smallest events start from £250 plus VAT on a weekday. It will generally be cheaper to book a weekday than a weekend and we will be happy to quote for your specific plans, be they simple or complex.